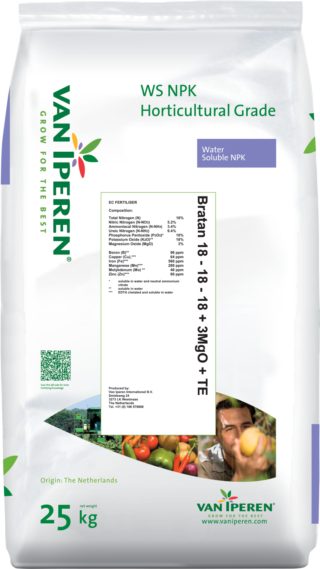 Van Iperen Bratan | 18 - 18 - 18 + 3MgO + TE is a pure and balanced WS NPK combined with EDTA chelated micronutrients. Our product has a limited caking sensitivity and is recommended at different phenological stages. 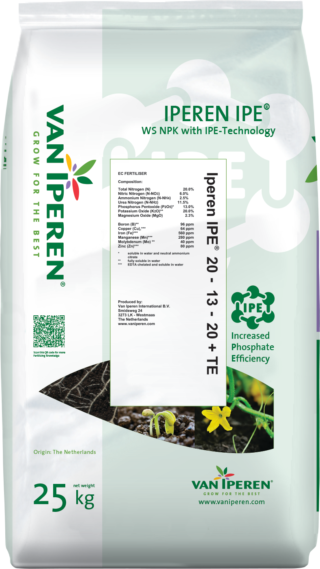 The high level of Nitrogen, Phosphate and Potassium in our formula improves cell division, cell elongation and cell pressure. The presence of Magnesium and micro nutrients contributes to the production of chlorophyll and supports general plant metabolism.